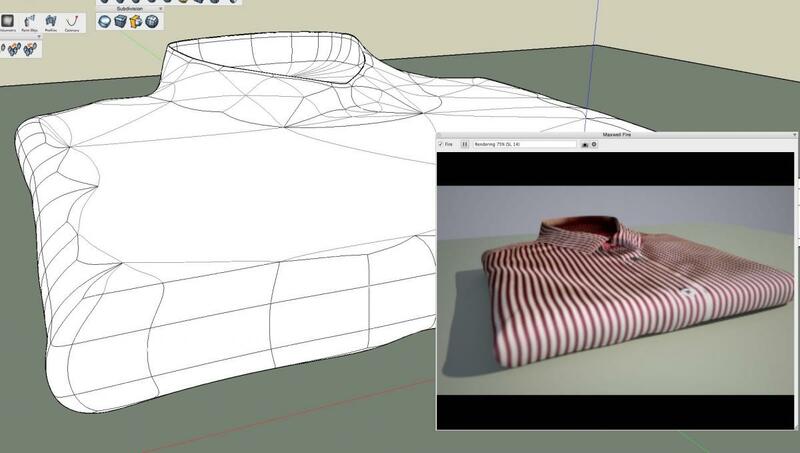 I found this nice little tutorial of modelling folded clothes with SU here, it's very straightforward and easy in Fz, but I was wondering about the smoothing in step 12 and what would be your recommended smoothing technique to maintain good geometry? Subdivision maybe? Yes, Subdivisions will do that. Note that you may want to manually subdivide the larger more complex face on the top of the shirt. Subdivision cages / base objects generally work best with 4 sided faces (but that is not required). Here's my first attempt, I think it takes some practice to get good results, mainly playing with the vectors before sub-dividing. Looks like a great start, Des!